Take the first step today and learn more about our training programs. South Whidbey Fire/EMS was established as Island County Fire Protection District #3 by local community volunteers in 1950. Still relying heavily on our team of volunteers, we proudly serve the citizens of South Whidbey Island. We changed our name to better reflect the service we provide. We are an active department. We conduct extensive training and educational outreach, while also answering an average of five emergency calls per calendar day. In 2015, we responded to over 2,000 emergency requests: Fire, Medical, Marine, & High Angle Rescue calls.We have six stations located in: Freeland, Bayview, Langley, Saratoga, Clinton and Maxwelton. Our district covers 57 miles of shoreline and 66 square miles of South Whidbey Island.South Whidbey Fire/EMS is rated by Washington State Rating Bureau as a Class 7 for fire protection, which means better insurance rates for most of our community homeowners. Welcome and thank you for visiting our website. South Whidbey Fire/EMS has a proud history of serving the citizens and visitors of South Whidbey Island. We began this journey of service in 1952 from humble beginnings with a small group of dedicated volunteers. Many of the family names of those volunteers are present in our organization today. While our organization has changed over the years, the same willingness to serve is inherent in our dedicated volunteer and career members. 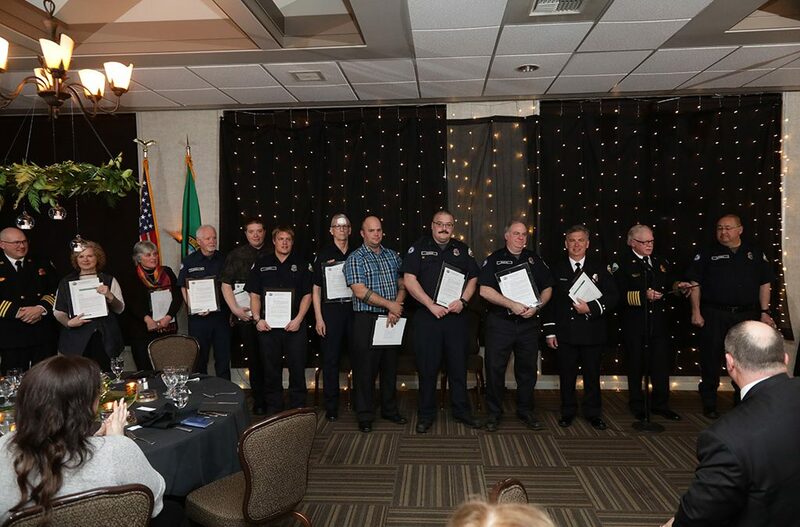 The men and women of South Whidbey Fire/EMS are trained to care for you with excellence and compassion, whether it be a medical emergency, fire, marine emergency, or other type of call. We recognize and appreciate the trust you put in us and we are committed to responding to your emergency needs whenever you call. We are honored to be part of the South Whidbey community and serve you. Your feedback is very important to us and we encourage you to contact us with your questions, concerns, or suggestions. We hope you find this website helpful and informative.